We pride ourselves on the contract packing service we provide, going above and beyond to ensure our customers receive only the highest level of service. We are also dedicated to providing a safe, caring environment for all our members of staff. Because of this we continually ensure that we comply with industry regulations and accreditations. 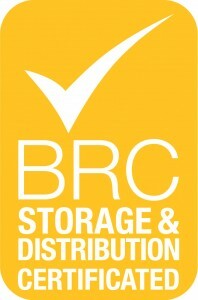 Designed to ensure best practice in handling, storage and distribution of products, the BRC standard promotes continuous improvement in operating practices. It covers eight key areas including management commitment and improvement; risk analysis; quality management systems; site and building standards; vehicle operating standards; facility management; good operating practices; and personnel. This standard aims to provide our customers with confidence in our production systems and supply chain management and the peace of mind that they are dealing with an industry-leading, professional company. SMETA is designed to reduce duplication of effort in ethical trade auditing, benefiting retailers, consumer brands and their suppliers. It is an audit which looks at how we, Evolve Pack, look after our staff, the environment and our customers, and assesses whether this is fair and just. The Gangmasters Licencing Authority works in partnership to protect vulnerable and exploited workers. It aims to regulate businesses that provide workers to the fresh produce supply chain to make sure they meet the employment standards required. Evolve Pack hires and trains its own employees rather than relying heavily on agency staff. This allows us to maintain the highest standards of service whilst ensuring our employees are cared for.